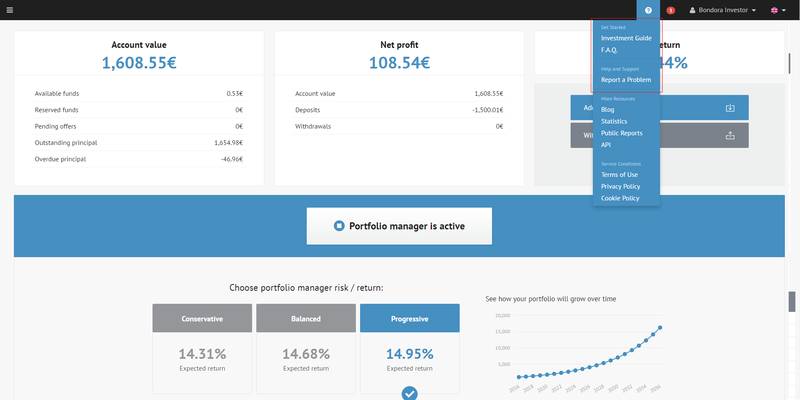 We are excited to announce that with our next release we are introducing a brand new UI for our investor product, finalizing months of work to separate investor and borrower teams in order to further improve the service provided to our investors. This change is not only virtual, but our investor team will now be operating through a separate legal entity called Bondora Capital OÜ (formerly known as Bondora Broker OÜ) which is a 100% subsidiary of Bondora AS. Dedicated only to meet the needs of our investors and offer them best possible service. Bondora Capital OÜ conforms to the same level of standards and procedures set for Bondora AS and enforced by the different supervisor authorities. We have been planning this change for some time and already in December 2015 Bondora’s company structure was upgraded to separate our investor and borrower related product teams to improve the user experience in both segments. The move to Bondora Capital means that our investors have a dedicated investor team that consists of 14 full-time employees that now work for Bondora Capital. We believe that this change enables us to offer a better investing experience leading to a stronger product for our investors. Currently both investor and borrower funds are held by Bondora AS. This change will enable us, in the future, to segregate investor funds to Bondora Capital. With segregating the assets of our investors we are able to find a 3rd party trustee to provide oversight to investor funds which will add a new layer of security to your capital. The separated legal entity will not bring any changes in the investing process for you, the entire technical process remains the same. Just from now on you will be receiving emails from Bondora Capital instead of Bondora. 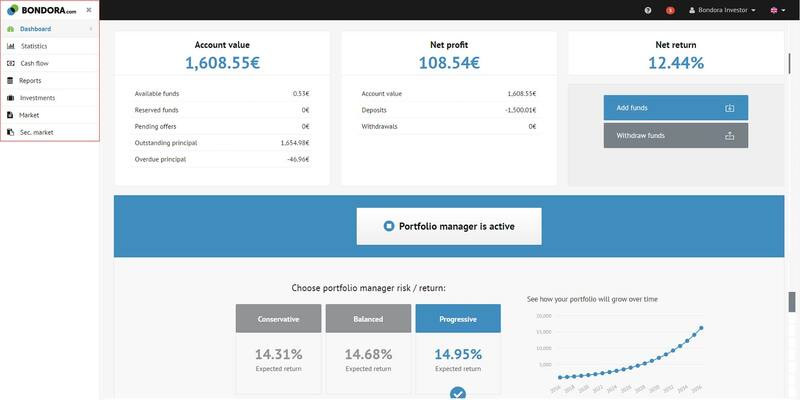 www.bondora.com will only be dedicated to investors and is operated by Bondora Capital OÜ. Our other domains (.ee, .fi, .es) include only borrower related functionality and content. 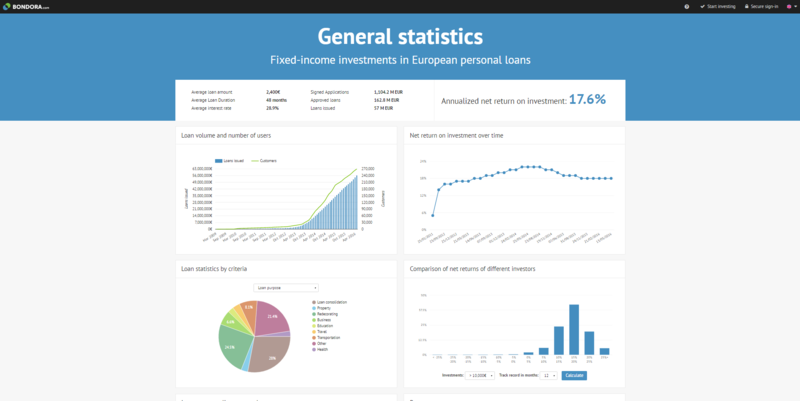 The new design is visually focused on presenting data even better and is one of the reasons why we implemented a wide screen. The general outlook of the design is simple, clean and the structure straightforward so your screen real estate is effectively used. 10. User Account – user details, address, proof of id, contracts, invoices etc. On the new dashboard the first thing you notice is that the sidebar is located on the left corner of the page that previously was located on the header of the page. This is the main navigation tool. You also have the possibility to close the sidebar to have a wider screen view. REPORTS is accessible through the sidebar on the left corner of the page. 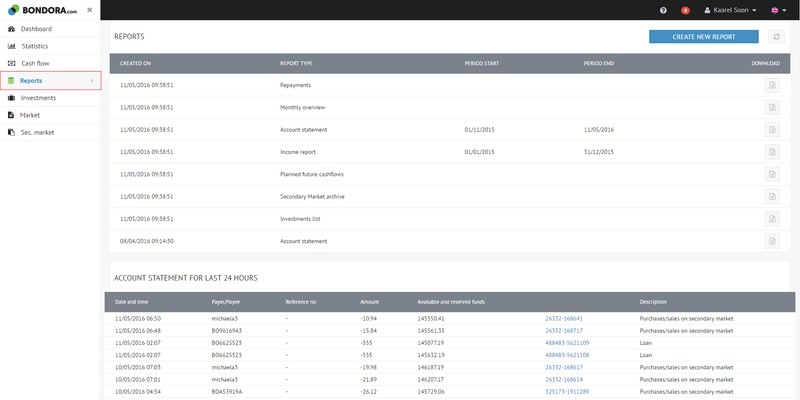 Reports page contains different report types that you can create and shows your account statement for the last 24 hours. The report types that you can create have not changed, we just added a coat of fresh paint to the page. Previously you may recall this page as Expert Center. This is a completely new page for you. On the header bar you’ll see a question mark icon and by clicking there you are assisted to different support page content (Getting Started, Investment Guide, FAQ, Report a Problem). What’s cool is that now you are able to submit your request/question directly from the page, there is no need for an email. But if you feel more comfortable contacting us via email you can still do that by writing to [email protected]. The support page contains all product related content that should help you to understand our product, its advantages and the investing process better. 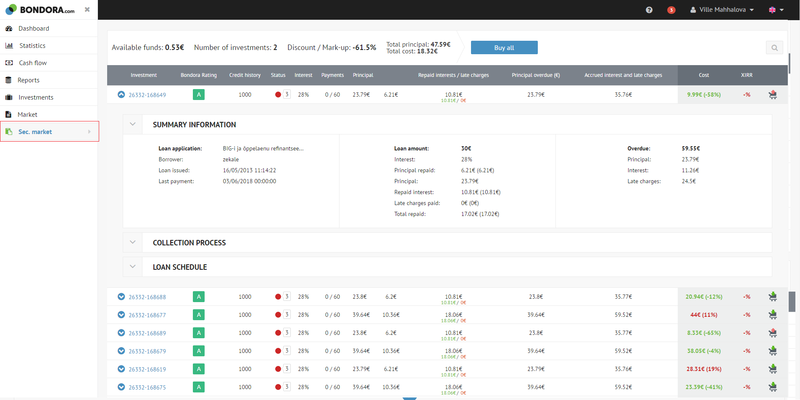 The buying and selling process on the Secondary Market is now made more convenient – you can add and remove investments on your Investments page directly. The idea is that you do not have to navigate between different pages anymore, the new design supports our goal that you find all the relevant information from one page. On the stats page we rearranged the already existing data and visualized the graphs in a more compact way. For your convenience we suggest you to bookmark www.bondora.com and hope that visiting our website becomes a part of your daily routine. Thanks for reaching out to us. We tested the sidebar and it was nicely visible. Let us know if this issue is continual.